We are excited to announce that Scanbot 7.0.0 is available on the App and Play Store now! This free major update comes with all new amazing filters, themes and a new search experience. We are proud to say that this is by far the best version of Scanbot ever! Let’s dive right into the details without further ado. We flew in the whole team to have a filter boot camp in our headquarters and the result is a new benchmark for the industry with a new Black & White filter that preserves all details, a new Grayscale filter which looks much more rich and vivid and new Magic Color and Magic Text filters which top all of that with bright, sharp and crystal clear documents. Applying this new filters makes scans look whiter than the original with extremely sharp text. Additionally each filter is adjustable with sliders, allowing you to finetune the presets by manipulating individual parameters like contrast, brightness and saturation. This is really huge and scanned documents have never looked so good. We absolutely can’t wait to hear your feedback! We have redesigned the app to achieve an even more intuitive and fresh look and feel and we have added a lot of new themes so that you can customize Scanbots appearance to your liking. The new themes include a high contrast theme for vision impaired users and a “legacy” theme. Applying it will change the Scanbot App icon back to the still highly beloved original Scanbot bot face. We hope you enjoy this ride down memory lane. In order to enable you to scan and work with your documents as efficiently as possible we have reworked the complete document processing and creation engine, which leads to a really noticeable increase in speed and more lightweight PDFs. Get your work done productively! We have included the popular smart search, which was previously available on Android exclusively, now into the iOS version. It shows a tag overview where you can simply tap on a location, date or manual tag to find documents in seconds. For iOS, we now also let you add text annotations not only by drawing them but also by using the keyboard. Furthermore we have fixed a ton of bugs and made improvements all across the app — thank you guys so much for your reports and suggestions. Scanbot has a wide user base in the millions that use the app for private but also for their business needs. One of the most requested features, with an all time high number of support requests, emails and calls from business users was to partner with DATEV eG. With this update we’re adding DATEVconnect online as upload target for professional users that work with DATEV every day and give them the opportunity to get the best and most seamless mobile scanning experience. The integration is initially only available on iOS but we will include in into Scanbot for Android later as well. Scanbot is the leading document and QR code scanner with cloud upload for iOS and Android. 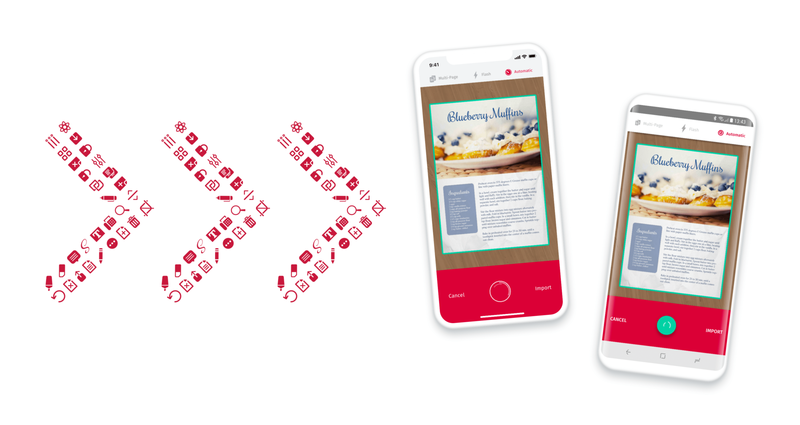 Create free, high-quality PDF or JPG scans with just one tap.